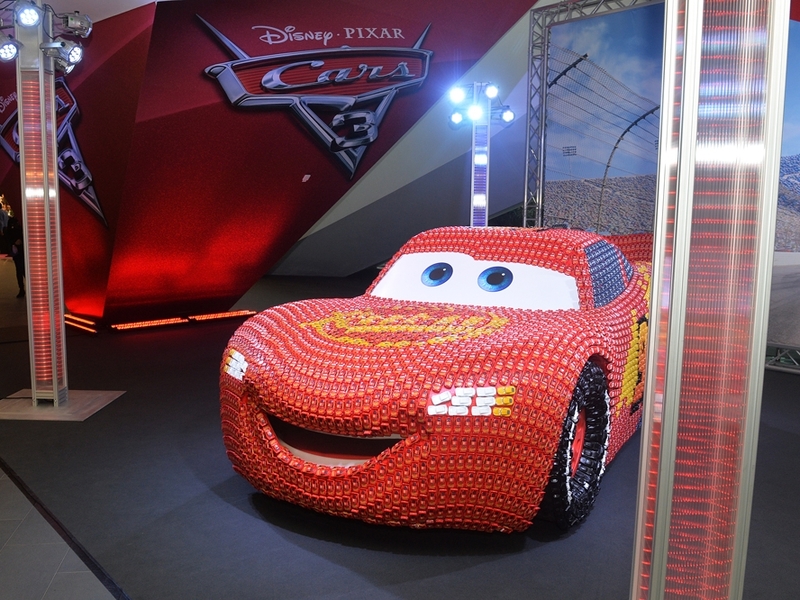 On behalf of Disney and Mattel, Propability remodelled a full life size Cars sculpt for exhibition at the Nuremberg Toy Fair in Germany. The creative process involved not only remodelling and painting the sculpt, but also meticulously covering the body work with over 6,000 new die cast toy cars. The key to the production process was an extremely high level of attention to detail - ensuring that each car was carefully positioned before permanently fixing in place. This was achieved by working around the logo on the bonnet down to the front of the car and then back toward the rear of the car in long lines. To ensure perfect positioning, the flames and race numbers were projected onto the bodywork with the final touches – the eyes and teeth – printed to contrast from the texture of the bodywork.